If I had to pick my favorite franchise ever, be that for PC or mobile or anything else, it would be without a doubt Football Manager. I’ve spent way too much time playing that game both on PC and, more recently, in its mobile and tablet iterations. I really liked Football Manager Touch 2016 ($19.99), the tablet iteration of the game, despite some little niggles with the UI. Tomorrow, we are getting Football Manager Touch 2017, and after seeing the new features, I cannot wait. First of all, a couple of words about the game. Football Manager Touch 2017 has you picking one of 2500 real football (soccer) clubs, and leading it to glory (or shame). You can manage every part of the team, from training regimes, transfers, tactics, and much more. This year, Football Manager Touch 2017 is adding a few very promising features, most of them focusing on getting you to play online with others. There’s the Fantasy Draft, where you build your dream team and put it against your friends or AI-modeled famous fans of the game, Online Versus, where you can put your team against a friend in a head-to-head match or challenge rivals online, and Online Career, where you can host and join an online league with friends and rivals. These features sound amazing because I’ve always wondered how my teams and tactics would fare against human players. I do hope all these features make it to the tablet version too. Last year’s Touch version was identical on PC and tablet, so I’m hoping we are getting all those features, too. There are other additions to the game such as social media, the ability to get an instant result in-game, which is great if you’re on the move and have to stop playing, staff progression, and more. 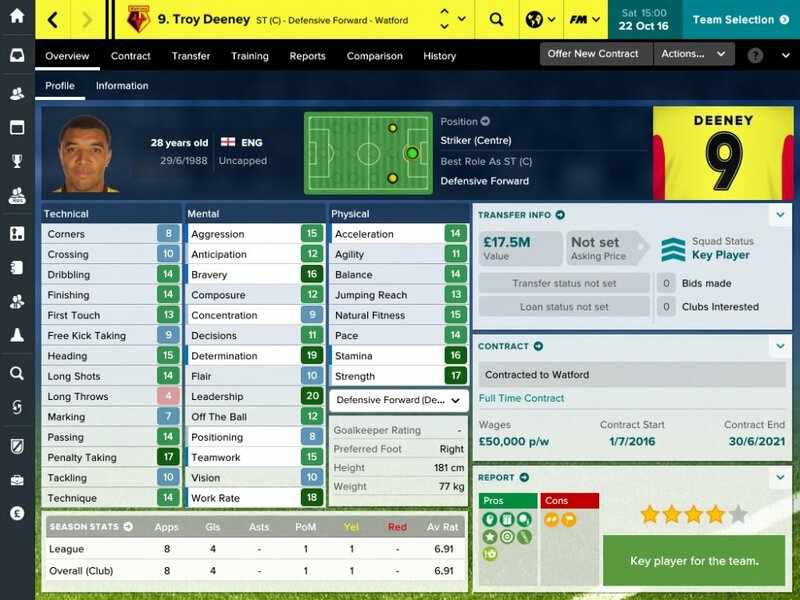 So yes, it sounds like a fantastic version of Football Manager. Keep in mind, though, that the game won’t play on any device below an iPad Air or iPad Mini 2 or the top Android ones. You can check all the compatible devices here. Football Manager Touch 2017 is coming tomorrow and should cost $19.99 judging from last year.